Andy Landreth knows sweet potatoes. He has raised them all his life, learning from his father and teaching his sons. And he’s convinced, there’s nothing better or sweeter than a sweet potato grown in Mississippi soil. “It’s the type of soil we have that makes them sweet,” Landreth says. “My family migrated to Mississippi from the Carolinas in the early 1900s.” His family settled in the Vardaman area, a place famous for its sweet potatoes. Every September, the Landreths begin harvesting sweet potatoes using machines, called diggers, that dig up the orange-fleshed potatoes and then put them on a conveyer belt. A crew of family and workers then sorts them by size and weight. The largest and best, referred to as U.S. No. 1’s, are stored in bins for direct markets to stores like Kroger and Wal-Mart. Slightly smaller U.S. No. 2’s go to other markets, and the canners are sold to companies like Gerber to be made into baby food. Some of the direct sales even have stickers saying they came from Landreth Farms including micro-sweeties, a smaller sweet potato pre-wrapped for microwave cooking. Landreth has his own packing line to sell directly to brokers. When an order is ready to be shipped, the potatoes are washed in water, brushed clean, graded and sorted again, so they are ready to eat. His three busiest times are right before Thanksgiving, Christmas and Easter. Landreth typically plants 600 acres of sweet potatoes and another 500 acres of soybeans, as well as raising 100 head of cattle. 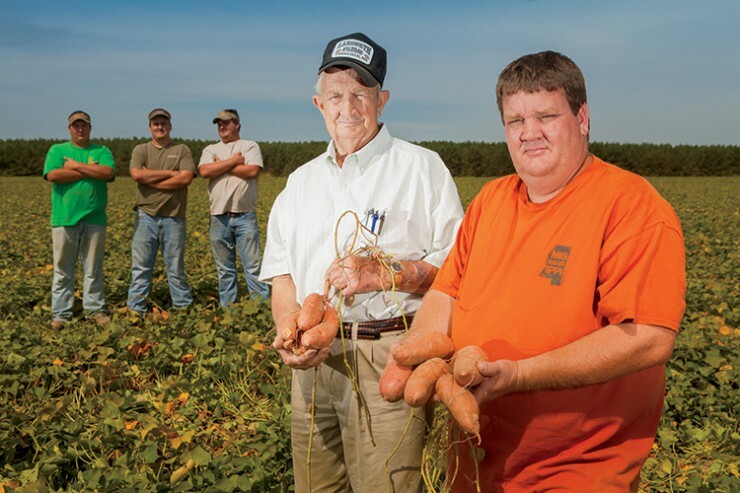 Statewide, farmers like Landreth raise more than 18,400 acres of sweet potatoes, according to Benny Graves, executive director of the Mississippi Sweet Potato Council. “The number of acres is down slightly, following a national trend,” Graves says. “That’s because of supply and demand. With less supply, prices are up $2 a carton, so supply and demand is working. 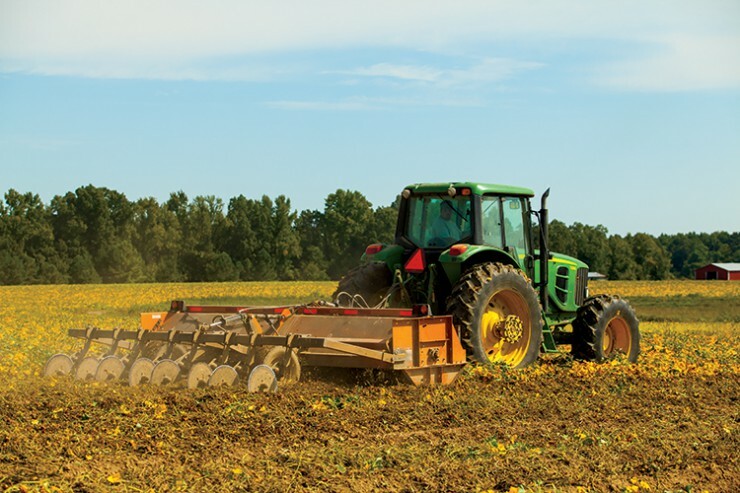 The good news is this year, we’re going to have an excellent crop.” He agrees with Landreth that Mississippi’s loamy soil – along with timely early rains – makes sweet, sweet potatoes. “We have three things that make a good crop – a 40-mile area around Vardaman that’s known for growing sweet potatoes, the infrastructure with packing houses and crews, and farmers with the knowledge of how to grow a great crop,” Graves says. “Many of our farmers are fifth-generation families.” The labor-intensive crop is worth the effort. “Every potato has a fingerprint on it,” Graves says. “There’s digging and sorting and bucket crews. Because the skins are tender, everyone has to take extra pains to not bruise them.” Demand has picked up recently due to increased interest from chain restaurants, particularly steakhouses. NEED TO BUY 2 TON OF SWEET POTATOES NO. 2. HOW MUCH PER POUND. A good friend gave me some Mississippi sweet potatoes and they were the best that I’ve ever put in my mouth. I would love to know if there’s any place in Kentucky that I could find any? 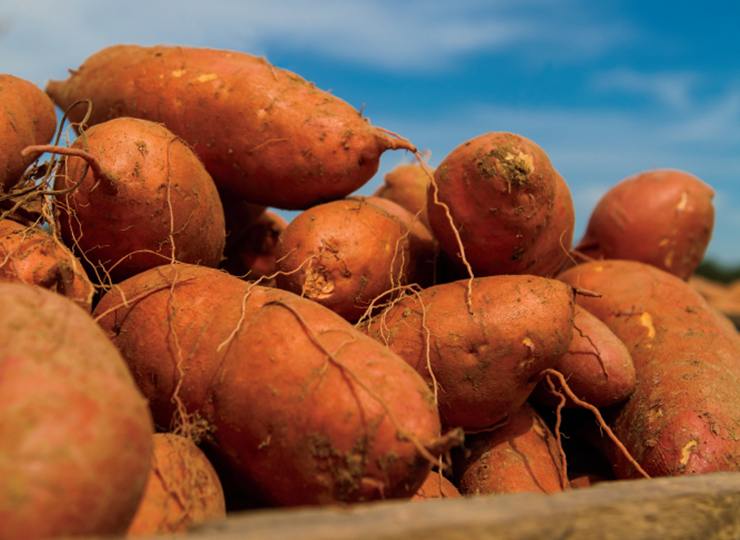 You can easily grow sweet potatoea in southern illinois and all of kentucky. Exept for the high mountains in the east….they can be grown in southern ohio and southern indiana….most of mo. The Catfish Institute promotes U.S. Farm-Raised Catfish across the country.